Pressemateriell på Röyksopp får du på forespørsel. 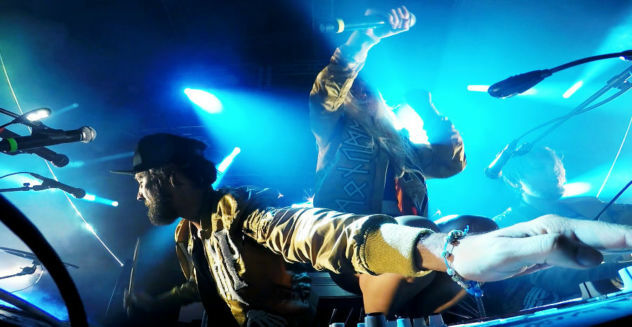 When electronic music superstars Röyksopp released ‘The Inevitable End’ in 2014, they pledged that it would be their final full-length record, thus completing their six album cycle. They also pledged they would return with new music in other forms as and when time was right. Their new single, the standalone ‘Never Ever’, is them coming good on that promise with an unabashedly club-ready track influenced by late-period disco and ‘80s electronic pop. In Röyksopp terms it’s closest, probably, to ‘The Girl And The Robot’ from 2009’s ‘Junior’ or ‘Do It Again’ from the 2014 EP of the same name, but really, they’ve not done anything quite like this before. There’s a long history of catchy, immediate tunes being written quickly – as this one was in just a few hours earlier this year. “If you’ve spent little time on creating something, there seems to be some universal law suggesting that the end-product will be equally easy to take in,” says Svein. “People have written books about this phenomena – tracks made without effort becoming classics, although most of the time, it’s quite the opposite; sounding effortless takes a lot of effort.” he adds. “This song,” says Torbjørn, ”and the melody, was written in a few minutes and a few hours for the lyrics and structure. We find, that when we’re in the zone, it’s actually beneficial just to leave things as they were when they flowed out of our collective mind.” The video for the track is set in “a disco-esque alternative universe”. “We have, in the past, tended to go for a bit of a sombre sentiment in our videos, pristine imagery with a hint of darkness,” says Svein. “But we wanted to turn that around this time, and make something raw, shabby and messy yet light-hearted. At the core of the video, lies a «reaction» to the current paradigme of selfies & social media, where a flattering facade, overshadowing substance, seems to be not only the accepted norm, but something to strive for. Last year, 2016, marks the 15th anniversary of their huge classic debut album ‘Melody AM’, which hit Number 9 in the UK chart and Number 1 in Norway and cemented their names as one of electronic music’s leading lights. Since then they have gained worldwide acclaim and success with two Grammy nominations, a Brit nomination, seven Spellemannprisen Awards and they continue to wow audiences with their visually compelling headline DJ and live sets. But the duo aren’t planning on looking back just yet. “There’s nothing wrong with nostalgia, but I’m not the one to initiate it,” says Svein. Instead, the rest of 2016, they say, will probably be filled with the occasional show, the occasional DJ set, a release, perhaps, and lots of writing. But really, you’ll just have to watch this space – this is the inevitable new beginning.